Curious, what did you think of my recent lifestyle series? Have you implemented anything I shared? What about the green protein smoothie? Adding this to my morning routine was truly life changing. As I mentioned in the video, I am constantly trying different protein powders in search of the best fit for my taste buds and nutritional needs. Since the video, many of you have messaged about protein powders. Over the past month, I keep going back to the Vega One All-In-One Nutritional Shake because it has really clean ingredients, it tastes great and blends smoothly (not chalky!). I love the chocolate flavor. I will admit the Vanilla Chai flavor is, well, just skip it. Trust me. All the Vega products are available on Amazon and it’s at most groceries stores even Target. If you have added the green smoothie to your AM routine, leave a comment and let me know about the benefits you are experiencing! Hope to see you at Stix & Brix this Saturday! In this article, I’m going to share with you some information about a powerful, nutritional herb and compound, ginger. Ginger root has been used for thousands of years for its health benefits. As I mentioned earlier, one of the main benefits of consuming ginger is that it reduces inflammation. If you consume just a small amount of ginger, it is more effective at reducing your pain symptoms and inflammation than pain killers given by general practitioners today. So again, if you’re trying to reduce pain and inflammation, ginger is more effective than many medications, according to the Journal of Arthritis. Ginger is also very effective in improving the digestive function. If an individual suffers from some kind of inflammation in the intestines, this could well be a warning sign of GI inflammation. Things like eczema, acne, psoriasis, or certain types of skin blemishes are a warning sign, that you probably have inflammation in your digestive tract. Ginger is a great way of reducing these symptoms. Not only has ginger proven to reduce inflammation, it also supports digestive health. Another incredible thing about ginger is that it aids digestion due to its prebiotics content. It contains a specific type of fiber, which causes good bacteria to grow in that area. For all the dieters out there, a healthy digestive system aids weight loss, which is another benefit of using this ingredient. Last but not least, ginger is very effective at reducing symptoms of nausea. So, if you’re ever going to be flying in an airplane, or let’s say, going on a boat all day, and you get sea sick, taking ginger is one of the best things you can possibly do. You can rub a small amount of ginger essential oil behind your ear. One of the things physicians advise their patients over the years who’ve had arthritis, and diabetes, and other symptoms of inflammation, is to drink ginger tea. Try just drinking ginger green tea throughout the entire week. Alternatively, break off a piece of ginger, or throw it in a smoothie. Ginger can be great with blueberries and peaches because it adds some really good flavor. Get more of this super herb ginger in your diet. Medical science proves it, and history proves it, so how much more persuading do you really need? This article was written by Stacey Marshall. Stacey is a qualified nutritionist and personal trainer. You can find more of her articles on www.authenticweightloss.com. ‘Arthritis Journals| Peer Reviewed | High Impact Articles List’. Accessed 3 November 2015. http://www.omicsgroup.org/journals/arthritis.php. ‘Ginger’. University of Maryland Medical Center. Accessed 3 November 2015. http://umm.edu/health/medical/altmed/herb/ginger. ‘Ginger And Digestive Health Benefits’. Digestive Health Guide. 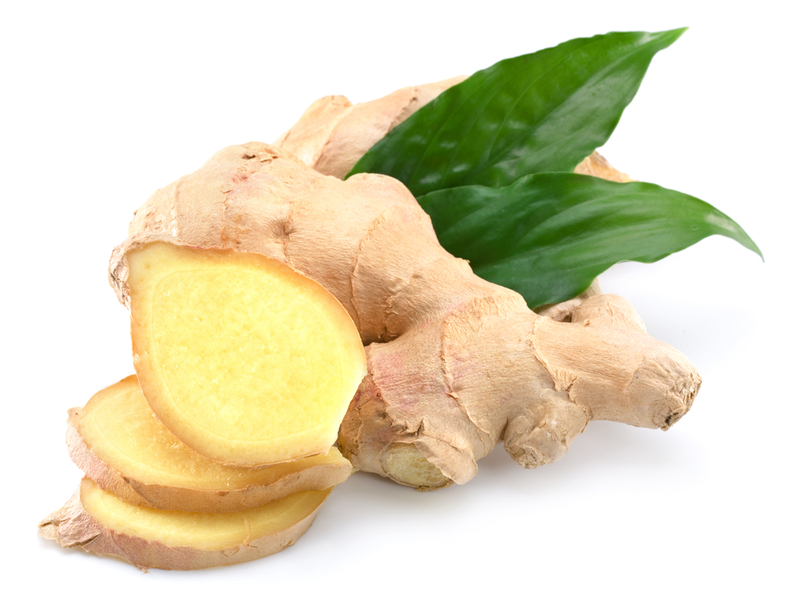 Accessed 3 November 2015. http://digestivehealthguide.com/ginger-and-digestive-health/. ‘Ginger Health Benefits | Best Foods for Arthritis | Arthritis Diet’. Accessed 3 November 2015. http://www.arthritis.org/living-with-arthritis/arthritis-diet/best-foods-for-arthritis/ginger-benefits.php. ‘Ginger: Uses, Side Effects, Interactions and Warnings – WebMD’. Accessed 3 November 2015. http://www.webmd.com/vitamins-supplements/ingredientmono-961-ginger.aspx?activeingredientid=961&activeingredientname=ginger. ‘JAMA Network | JAMA | Collaborative Care for Chronic Pain in Primary Care: A Cluster Randomized Trial’. Accessed 3 November 2015. http://jama.jamanetwork.com/article.aspx?articleid=183624. Rahnama, Parvin, Ali Montazeri, Hassan F. Huseini, Saeed Kianbakht, and Mohsen Naseri. ‘Effect of Zingiber Officinale R. Rhizomes (ginger) on Pain Relief in Primary Dysmenorrhea: A Placebo Randomized Trial’. BMC Complementary and Alternative Medicine 12, no. 1 (10 July 2012): 92. doi:10.1186/1472-6882-12-92. Schittek, Birgit, Rainer Hipfel, Birgit Sauer, Jürgen Bauer, Hubert Kalbacher, Stefan Stevanovic, Markus Schirle, et al. ‘Dermcidin: A Novel Human Antibiotic Peptide Secreted by Sweat Glands’. Nature Immunology 2, no. 12 (5 November 2001): 1133–37. doi:10.1038/ni732.